Lukus Developments provides custom residential homes, it is one of the most accredited builders in the city of Calgary and builds single family, multi family and provides renovation construction. We build a limited number of luxury custom homes each year to ensure that the quality and consumer service are consistently high. We provide an open book policy through the entire process of the complete build to also ensure that open communication is maintained. Lukus Developments knows that every home / client is different and requires different features and functions. Therefore we provide a wide range of flexible and tailored building contracts for all of our custom home projects. LD believes that accreditations and increased education are of vital importance to providing our clients the best service possible. Due to this value we have become one of the most accredited custom builders, that has every industry accreditation. Since 1982, under the thoughtful stewardship of Art Reid, and a team of professional new home specialists, ReidBuilt has strived to achieve its mission of being the leader in delivering affordable, quality built, family homes. Today ReidBuilt Homes is one of Alberta's largest builders and leading provider of excellent new homes for families that demand superior value and best prices. Since its humble beginnings ReidBuilt has emerged as a major force in residential real estate. 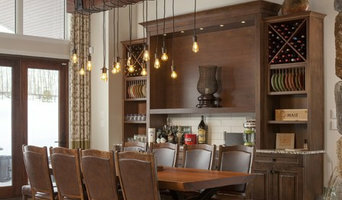 The company designs and builds single family homes in Edmonton, Calgary and Red Deer. Through Reid World Wide Corporation it has created and marketed over 12 residential communities and premium multi-family developments. A legacy of real estate excellence that contributes to over 500 new home sales annually. The key to success to ReidBuilt has been simplifying the purchase, construction and ownership of a new home for hard working families. A seemingly simple business notion that has been attempted by many but perfected by only one. ReidBuilt is a trusted member of the new home industry. A winner of numerous local and regional awards for excellence in product design, quality, marketing, sales and customer services. ReidBuilt is also one of only a few Alberta builders that have achieved Master Builder status through the Professional Home Builders Association. It is a respected member in good standing of The Canadian, Edmonton and Calgary Home Builders' Associations' the Calgary and Edmonton Chamber of Commerce, Calgary and Edmonton Better Business Bureaus and the Alberta New Home Warranty Program. Through excellent business standards ReidBuilt has forged valuable working relationships with the industry's finest trades people and organizations, material suppliers and industry partners that over the long term have meant better built homes and more affordable prices for our valued clients. ReidBuilt Homes remains committed to its mission. We respect the important role homes play in the development and quality of your family's life. Which is why friendly, helpful service, efficient design, construction excellence and superior value will always be the heart of our business - and it's what makes your ReidBuilt home such a wise and valuable investment. We build and design home that is only for you. 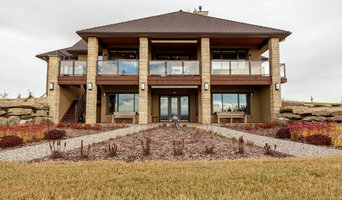 Rocky View's Custom Home Building Specialist We design and build custom homes in Rocky View County and surrounding area for clients building their "forever" home. Our online project management software allows our clients to have exceptional communication with us and allows 24/7 access to the project from anywhere in the world. We guide our clients through the design process to enable us to offer a fixed price and guaranteed completion date. DCM Homes By Design Inc.
For Penhold residential home builders who also act as developers, the job starts well before the first nail is driven. They perform local market research to determine whether the prospective homesites make sense in the Penhold, AB market, as well as survey the land on which the house will be built to make sure it is suitable for construction. Custom builders also obtain the necessary permits. 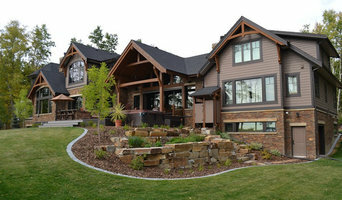 A good custom home builder in Penhold, AB has skills that go far beyond construction — he or she must supervise subcontractors and artisans; keep tabs on local zoning regulations, building codes and other legalities; inspect work for problems along the way; and perform dozens of other roles that are essential in building a quality house. Here are some related professionals and vendors to complement the work of home builders: Interior Designers & Decorators, Landscape Architects & Landscape Designers, Architects & Building Designers, Kitchen & Bath Designers, Specialty Contractors. House builders are responsible for ensuring that the home-building project sticks as closely as possible to the specified timetable, particularly in the event of change orders. 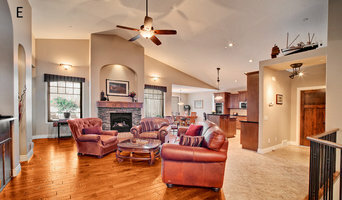 Custom and luxury home builders in Penhold, AB also need interpersonal skills to deal with clients of all types, soothe frazzled nerves, negotiate conflicts and resolve problems. 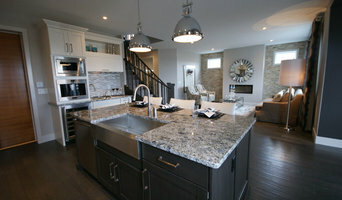 Find custom home builders in Penhold, AB on Houzz. Narrow your search in the Professionals section of the website to Penhold, AB home builders. You can also look through Penhold, AB photos to find a house you like, then contact the builder who worked on it.